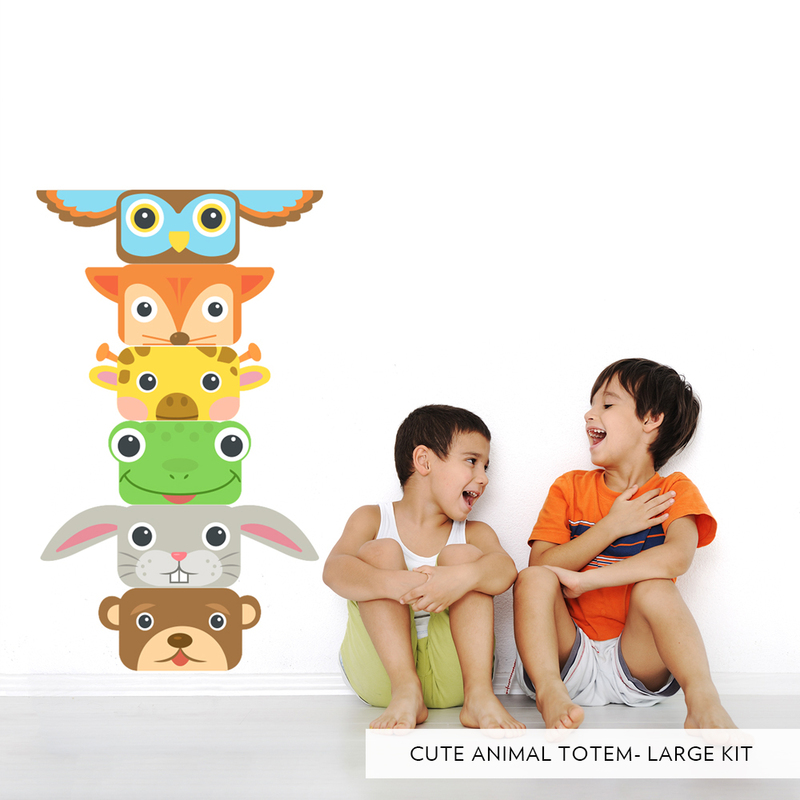 Our Cute Animal Totem Poll Printed Wall Decal is stackable any way you'd like. Each character comes separate so you and your little one can decide how to stack them. 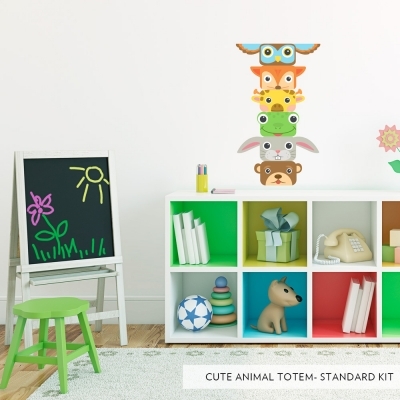 Perfect for nurserys or playrooms! Available in 2 kit sizes. Each block is approx 5" tall. Widest piece is 16". Overall height when stacked, approx 27"
Each block is approx 8" tall. Widest piece is 28". Overall height when stacked, approx 48"